Dr. Zamzil Amin started his housemanship training at Hospital Sultanah Nur Zahirah (then Hospital Kuala Terengganu) in 1999 after completing undergraduate studies in Medicine at Trinity College Dublin, Ireland. From 2000, he served at the same hospital as a medical officer in Anaesthesiology (2 years) and General Surgery (1 year) before being transferred to serve as a Medical and Health Officer in Klinik Kesihatan Gong Medang, Besut for one year. In June 2003, he enrolled for the Master of Otorhinolaryngology-Head & Neck Surgery programme (MMed. ORL-HNS) with the Faculty of Medicine, Uni ... show more versity Science Malaysia, Kubang Kerian. He successfully completed the four-year programme and was awarded the MMed. ORL-HNS in May 2007. Subsequently he was posted to Hospital Selayang where he served as a clinical specialist in Otolaryngology. Following his passion for clinical teaching and research, he resigned from the Ministry of Health, Malaysia to join Kulliyyah of Medicine, IIUM in August, 2007. Dr Zamzil Amin joined the Department of Otorhinolaryngology, Kulliyyah of Medicine, IIUM as an Assistant Professor where he taught and helped to develop the undergraduate and postgraduate medical curriculum in Otolaryngology. Besides teaching and supervision, he gives clinical services at Hospital Tengku Ampuan Afzan, Kuantan and IIUM Medical Specialist clinic. He also gave visiting consultation and performed surgery in the district hospitals in Pahang, namely Hospital Sultan Ahmad Shah, Temerloh and Hospital Pekan. He is also a sessional visiting ENT consultant to Kuantan Specialist Hospital. His subspeciality area of interest is the upper airway surgery, particularly paediatric upper airway and surgery for obstructive sleep apnea. He had attended trainings in these niche specialities in Singapore, Adelaide, Seoul and Kuala Lumpur under guidance of various world renowned experts in the field. Dr Zamzil Amina? ?s research interest is in the field of obstructive sleep apnea, nasal allergy and paediatric upper airway disorders. He is actively involved in research in these niche areas and has secured several Endowment and FRGS grants. He has published more than 20 research papers in Scopus and ISI ranked journals, including tier 1 journals in Otolaryngology such as The Laryngoscope, Journal of Laryngology and Otology, Clinical Otolaryngology, Sleep and Breathing and Auris Nasus Larynx. His publications have been cited more than 40 times in Scopus, and his current H-index is 4. He has been invited as a speaker in various medical conferences at regional and national level and he also presented oral papers in conferences such as the World Congress of Sleep Apnea 2009 & 2012, European Laryngological Society meeting 2008, European Society of Paediatric Otolaryngology meeting 2014 and Asian Paediatic Otolaryngology Congress 2013. He has won several research awards such as Best Paper Presenter in the 4th Asian Paediatric Otorhinolaryngology Congress 2013 and IIUM Quality Research Award for excellent research in Health and Allied Sciences in IIUM Quality Day 2013. He also organizes meetings in his area of interest and was the director for the series of Kuantan Paediatric Airway Workshops, which was attended by participants from the regional countries. Dr Zamzil Amin is a current and past reviewer for the ISI ranked medical journals such as The Laryngoscope, International Journal of Immunopathology and Pharmacology, Neurology India, European Journal of Dermatology and Annals of Saudi Medicine. He is one of the international editors for Austin Journal of Sleep Disorders (Austin Publishing Group, New Jersey, USA). In 2010, he was appointed the deputy chief editor for the International Medical Journal Malaysia, a journal of Faculty of Medicine, IIUM. He helped to enlist the journal into Elsevier SCOPUS database in 2011. 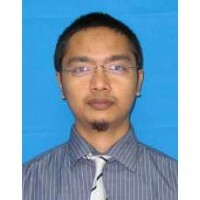 He was promoted to the post of Associate Professor in Otolaryngology by IIUM in July 2012. 2010 - -1 Reliability and Validity of Malay version LPR HR-QOL Questionnaire. 2010 - 2012 Reliability and Validity of Malay version LPR HR-QOL Questionnaire. 30 November 2014 Bronze medal in i-Inova 14 Ekspo Inovasi Islam 1436H. Ministry of Science, Technology, Innovation - National level. 15 May 2013 Silver medal best presenter award. Asian Paediatric Otolaryngology Society - International level. 01 May 2013 IIUM Quality Research Awards- Health and Sciences category. IIUM - University level.